There are few first-hand accounts of our area in the past. Occasionally accounts crop up in diaries, like that of the Reverend Littlewood, vicar of Ironville in the 1870s, or Edie Barnes-Wallis’ comments on Ripley in 1886. One exception, however, is the book, now long out of print, “My Village, or Owd Codnor” by Joseph Millott Severn. Severn was born in 1860 in Codnor. His father was a stockinger whose drinking and arguments with his wife meant that Severn spent some time living with his aunt and uncle, and his schooling was fairly basic. He left school at 10 to work on a farm and then in the local pits. Later he began attending night school, and became an apprentice joiner. 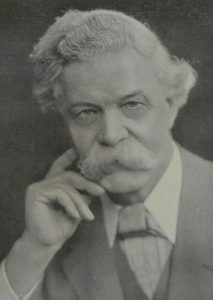 He left Codnor in 1880 to work in London. Sometime in the 1880s he reinvented himself as a “professor” of Phrenology, which was the belief (he would have called it a science) that someone’s character could be assessed by examining the shape of their head and the bumps on it. Much later, in 1935, he published the book, which is a kind of memoir describing in loving detail his early life in Codnor and some of the people he remembered from it. Street by street, he describes the people who lived there: not only appearance, but attitudes and habits, good and bad. 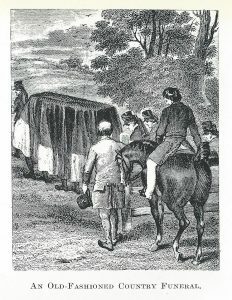 Not that life was all games: he gives an account of a wife receiving news of her husband’s death in the pit, and vividly describes the open sewers which ran along the main roads, often deep and full of water and sewage, dangerous at a time when there was no street lighting; his uncle James was found dead in one of them. It is a rare portrait of the lives of ordinary people over 150 years ago.